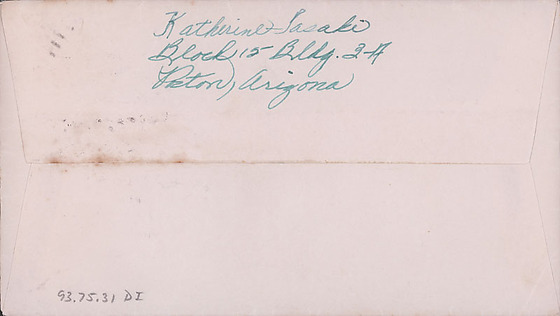 1 letter and envelope from Katherine Tasaki to Clara Breed. 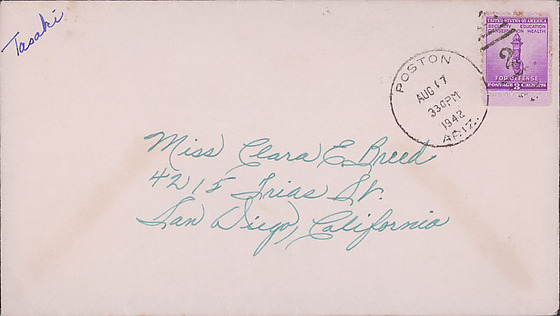 Aug. 14, 1942/Dear Miss Breed,/I'm sorry I didn't write to you sooner. I wanted to thank you for the lovely gifts before but couldn't fine the time. I was sure surprised. 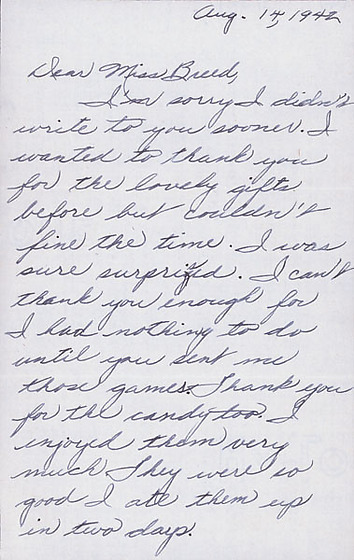 I can't thank you enough for I had nothing to do until you sent me those games. Thank you for the candy too. I enjoyed them very much. They were so good I ate them up in two days./Last night we had a picture show. We saw "Elephant Bay" with Sabu the boy actor. 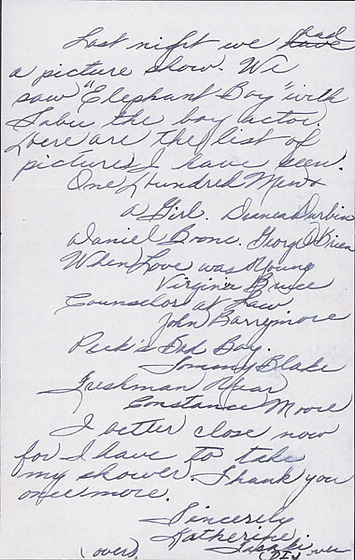 Here are the list of pictures I have seen./One Hundred Men and a Girl. Deanea Durbin Daniel Boone. George OBrien/When Love was Young Virginia Bruce/Counselors at Law. John Barrymore/Peck's Bad Boy. Tommy Blake/Freshman Year Constance Moore/I better close now for I have to take my shower. Thank you once more. 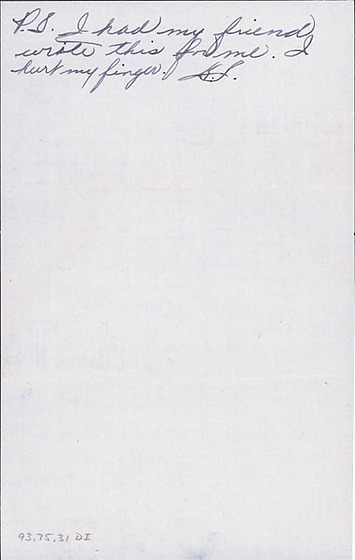 /Sincerely,/Katherine Tasaki/(over) (DIV over/P.S. I had my friend write this for me. I hurt my finger. K.T.